One of the most frequently asked questions related to the Bible is, "Which Bible translation should I use?" People often wonder what is the all-around best English Bible translation available. Philip Comfort: NLT (New Living Translation)In each case, the contributors explain the translation philosophy under- lying these major recent versions. 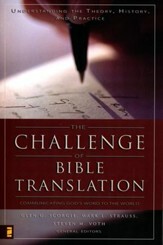 They also compare and contrast how specific passages are translated in their version and other translations. Which Bible Translation Should I Use? 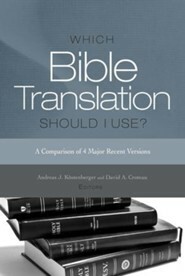 is ideal for anyone who is interested in the Bible and wants to know how the major recent English translations compare. After you've read this book, you will be able to answer the title question with confidence. You will also learn many other interesting details about specific passages in the Bible from these top experts. One of the most frequently asked questions related to the Bible is, "Which Bible translation should I use?" People often wonder what is the all-around best English Bible translation available. 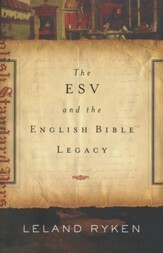 In this book, Douglas Moo, Wayne Grudem, Ray Clendenen, and Philip Comfort make a case for the Bible translation he represents: the NIV 2011 (New International Version), the ESV (English Standard Version), the HCSB (Holman Christian Standard Bible), and the NLT (New Living Translation) respectively. 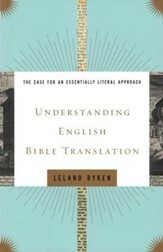 In each case, the contributors explain the translation philosophy under- lying these major recent versions. 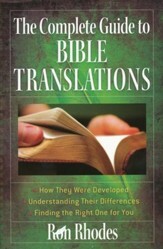 They also compare and contrast how specific passages are translated in their version and other translations. Which Bible Translation Should I Use? is ideal for anyone who is interested in the Bible and wants to know how the major recent English translations compare. After youve read this book, you will be able to answer the title question with confidence. You will also learn many other interesting details about specific passages in the Bible from these top experts. Andreas J. K&ouml;stenberger is senior research professor of New Testament and Biblical Theology at Southeastern Baptist Theological Seminary in Wake Forest, North Carolina. He also serves as editor of the Journal of the Evangelical Theological Society. He has authored or edited numerous books, including The Cradle, the Cross, and the Crown (B&H Academic); The Lion and the Lamb (B&H Academic), God, Marriage & Family (Crossway); John (Baker Exegetical Commentary on the New Testament), and Invitation to Biblical Interpretation (Kregel). David A. Croteau is associate professor of Biblical Studies at Liberty University in Lynchburg, Virginia. He holds a Th.M. and Ph.D. from Southeastern Baptist Theological Seminary. He is also the editor of Perspectives on Tithing: 4 Views (B&H Academic). E. Ray Clendenen is senior editor of Bible and Reference Publishing at B&H Publishing. He served as associate general editor of the Holman Christian Standard Bible (HCSB), and associate editor of the HCSB Study Bible and the Apologetics Study Bible. He has taught Hebrew and Old Testament for Philadelphia Biblical University, Criswell College, Southern Baptist Theological Seminary, and Golden Gate Baptist Theological Seminary. He is general editor of the New American Commentary series and the NAC Studies in Bible and Theology and is the author of Malachi (New American Commentary). Philip W. Comfort is senior editor of Bible Reference at Tyndale House Publishers. He served as New Testament editor for the New Living Translation (NLT) and has taught at Wheaton College, Trinity Episcopal Seminary, Columbia International University, and Coastal Carolina University. He has authored or edited many books, including The Origin of the Bible (Tyndale House), The Tyndale Bible Dictionary, Essential Guide to Bible Versions (Tyndale House), Encountering the Manuscripts (B&H Publishing), and New Testament Text and Translation Commentary (Tyndale House). Wayne A. Grudem has been a member of the Translation Oversight Committee for the English Standard Version (ESV) since its inception in 1998, and served as the general editor for the ESV Study Bible. He became research professor of Theology and Biblical Studies at Phoenix Seminary in 2001 after teaching at Trinity Evangelical Divinity School for twenty years. He has served as president of the Council on Biblical Manhood and Womanhood and as president of the Evangelical Theological Society. He is the author of many books, including Systematic Theology (Zondervan). Douglas J. Moo has served on the Committee on Bible Translation for the New International Version (NIV) since 1997 and served as committee chair since 2005. He is Kenneth T. Wessner Chair of Biblical Studies at Wheaton College Graduate School, where he has served since 2000. Prior to this, he taught for over twenty years at Trinity Evangelical Divinity School. He has written many books, including Romans (New International Commentary on the New Testament), James (Pillar Commentary on the New Testament) and (with D. A. Carson), An Introduction to the New Testament. I'm the author/artist and I want to review Which Bible Translation Should I Use? : A Comparison of 4 Major Recent Versions.